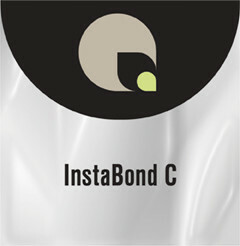 InstaBond C premium adhesive is formulated for mounting to all graphic arts boards. This archival acrylic adhesive performs extremely well in applications which require many years of use. The adhesive is coated to a 1mil clear polyester carrier and backed with a high quality paper release liner. High tack, moderate peel, moderate shear acrylic adhesive. Used in graphic arts industry for photo print mounting. Easy to view the coated substrate prior to mounting the image and makes it easy to trim when mounting is complete. Performs well in adverse conditions. 74lb liner ensures a smoother end product. Posted in the categories Filter by Print Media, Filter by Mounting & Laminating Films, Filter by Brand.